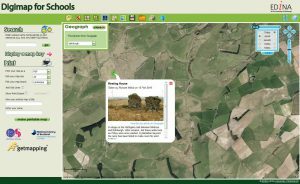 The Geography National Curriculum for England states that students should be taught to “use Geographical Information Systems (GIS) to view, analyse and interpret places and data,” (DfE, 2013). 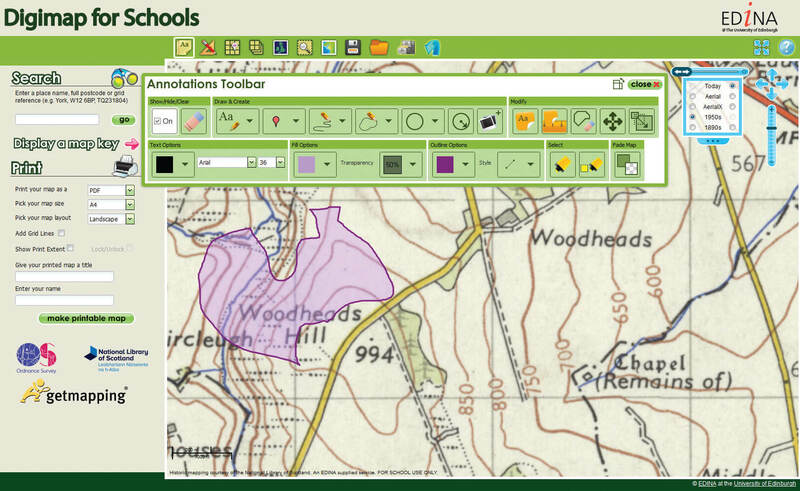 While it can be agreed that proficiency in GIS is a valuable skill of Geographers, implementing its effective use in the classroom can be both ambitious and daunting to teachers. GIS has revolutionised the way in which we view land on Earth and has been noted as one of the 25 most important developments for human impact in the 20th Century due to its powerful analytical abilities. Students who are familiar with its uses not only have a better understanding of their environment but are better equipped to enter the technological business world. 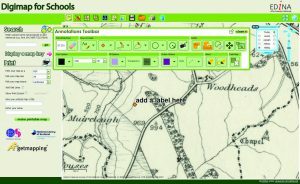 Traditionally, GIS software was quite complex with time-consuming downloads and processing. Indeed, GIS was not initially created for use in the classroom but rather as a decision-making tool to be used by government and business. Unfortunately, such characteristics made the use of GIS unsuitable for the contemporary classroom that is under increasing curriculum and timetabling pressures. 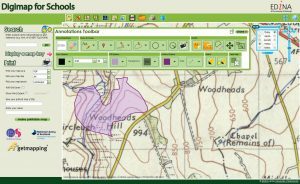 So how do teaching practitioners effectively implement GIS in our classrooms in a way that both fulfils the criteria of the National Curriculum and acts as a tool to promote learning among our students? Digimap for Schools offers a solution to this problem. 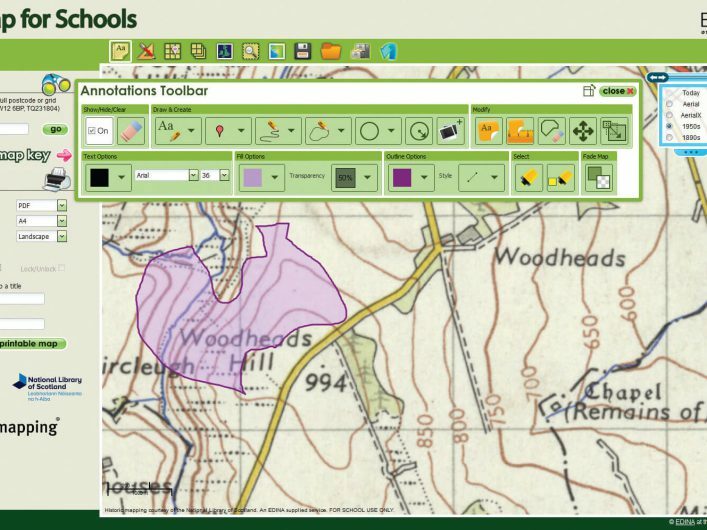 As a collaborative venture between EDINA and Ordnance Survey, Digimap provides an online mapping service to both students and teachers. 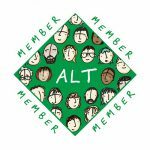 The online nature of this service instantly makes it time-effective to implement in the classroom. With no need for downloading software or mobile apps, maps can be accessed at any time and on various platforms (e.g. laptops, iPads or mobile phones) and all that students require is internet access. A far cry to the bulky and time-consuming GIS software that I became familiar with at university! During a GIS club run by the Geography Department at The Mountbatten School, students were asked to create a proposal to identify the best locations for bins and recycling centres on the school grounds. 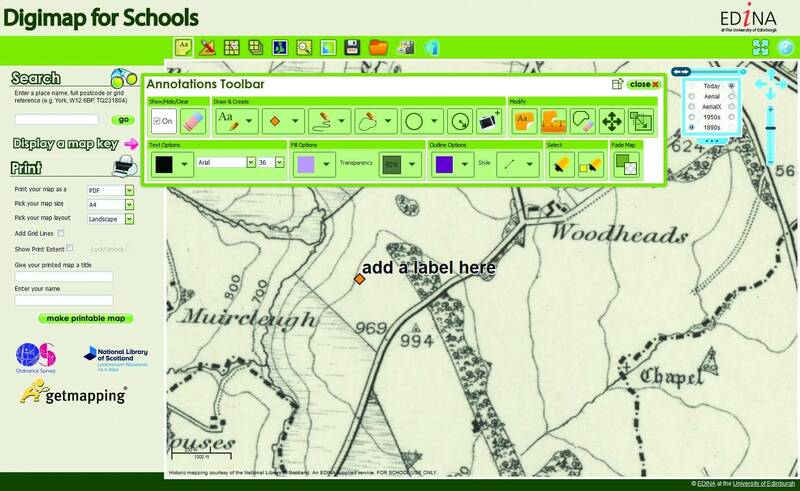 Using Digimap for Schools, students collected raw data which was uploaded to their own maps. Students then used buffers and their personal understanding of various environmental and human factors to analyse and interpret the data to make justified decisions which would then better inform their proposal. Something that soon became apparent was how Digimap can allow differentiation by outcome in that students had complete control over what went onto their maps and what functions they were going to use to make their decisions. The only premise was that their decision would need to be justified; both an important command word in the new GCSE specification and a skill used throughout personal and professional life. The user-friendly layout meant that students quickly became familiar with the functions and confident in its uses. As such, students could complete complex GIS functions in a short period of time and view the results instantly, which further motivated them to challenge their data by processing alternative solutions leading to better-informed decisions. Other features that students enjoyed included being able to upload their own images to maps, annotating their choices and using historical maps and aerial images to view their map area in different settings. From a teacher’s perspective, the service is very simple to use and, as many classrooms and IT suites are now fitted with interactive whiteboards, it is easy to demonstrate to students how to perform functions. Overall, its value is efficient as a tool in promoting geographical inquiry and independent decision-making. Its layout is easily familiar and the outputs of functions are immediate, which allow students time to process and manipulate data as they feel appropriate. 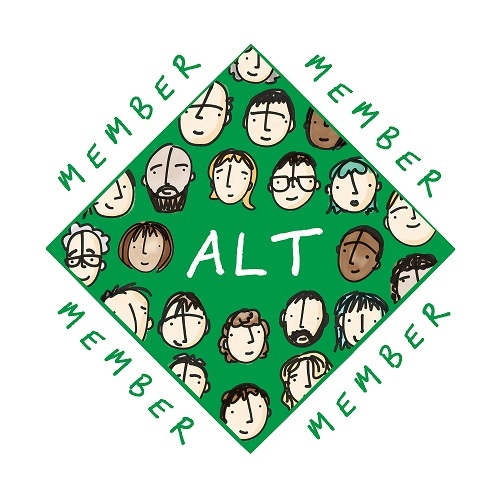 It is a service that puts as much emphasis on the process as it does on the output, providing an authentic learning experience for both students and teachers.